I didn't use Instagram, Facebook or Twitter to get traffic and I didn't really focus on SEO that much at the start (although it is very important). 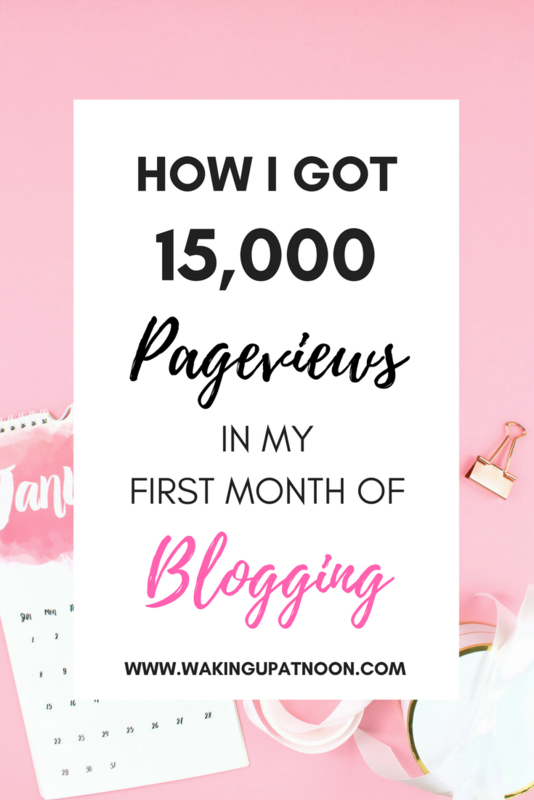 I know how frustrating it is when you can't seem to get views on your blog so I'm going to take you through the things I did and tell you how I got more blog page traffic when I started up my blog again and how you can increase your blog views too. Tailwind was my lifesaver when it came to getting page views. I didn't know anything about Tailwind or how it worked but once I signed up I couldn't believe the results in my google analytics. My blog posts that were getting under 100 page views were exploding into the thousands! Tailwind basically works by setting up a pinning schedule on Pinterest, so when you create a pin for your blog post, you can schedule it on Tailwind and it will post the pin to whatever boards you tell it to post to throughout the day. It basically does all the work for you and you don't have to waste time pinning all day everyday yourself. It gets so much more exposure to your blog posts too. BoardBooster is another excellent pinning service that schedules pins for you on Pinterest. It works slightly different to tailwind in that you can loop pins and create campaigns to pin from specific boards to other pinterest boards. I saw a good traffic increase from using BoardBooster as well. You can pay for how many pins a month you want, so you can pay $5 for 500 pins or $10 for 1000 etc. If you want to use pinterest to grow your traffic then you should enrol in my Pinterest Millionaire eCourse where I break down my strategy on hoe I get over 2.7 million views from Pinterest every month. Check out the course here! Group boards are essentially boards that you can join to pin any of your pins to, to reach a bigger audience. There are group boards for every blogging niche and just general boards too. Try and join boards that have at least 10,000 followers as you'll have more of a chance of your blog post getting noticed. You can also use Tailwind to pin to your group boards to get loads more traffic to your website. Using Tailwind or Pinterest won't have a great effect unless your pins stand out. You want to create bright and colourful pins with clear lettering and images that will stand out amongst all the others pins and make people click through to your site. I use canva to create all my pins and always remember long pins work best! Having my blog run smoothly and be user friendly is so important in making people return to my blog, that's why Bluehost is a great platform if you're starting out a blog and need somewhere to self host. They're one of the cheapest hosting sites and a must-have for blogging success. I invested in this course and I can honestly say it's helped me drive so much traffic to my blog and start making sales with affiliate marketing on my blog. The best way to be successful in blogging is to learn from the pros, so although you might think it's a pain to pay a bit of money for a course, you'll learn SO much from it and it'll pay off in the long run. Sign up for Making Sense of Affiliate Marketing here. This was such a helpful post! I have a Pinterest account, but I didn't think to use my blogposts in there yet, so thanks for letting me know. I just started blogging and I am trying to learn all the newbie things out there. WOW! Emily, this is so impressive! I definitely love your blog, it's gorgeous - and I plan to continue coming back in the future. Can you share some specific tailwind and board booster strategies? I've been using them and I've noticed an increase in my page views, but not as significant as you!